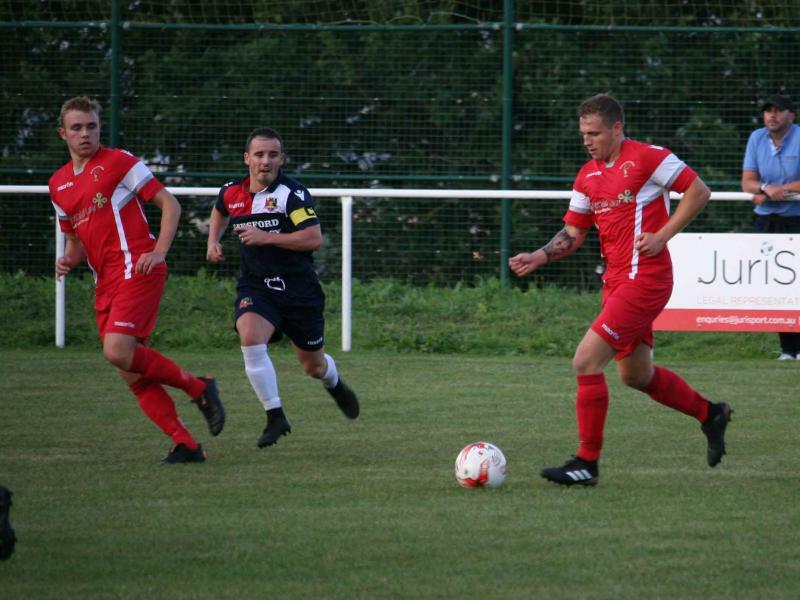 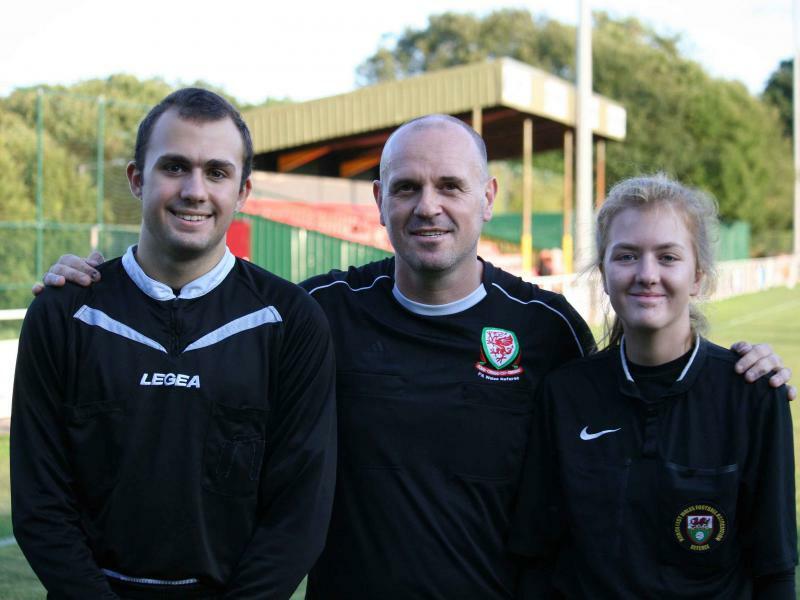 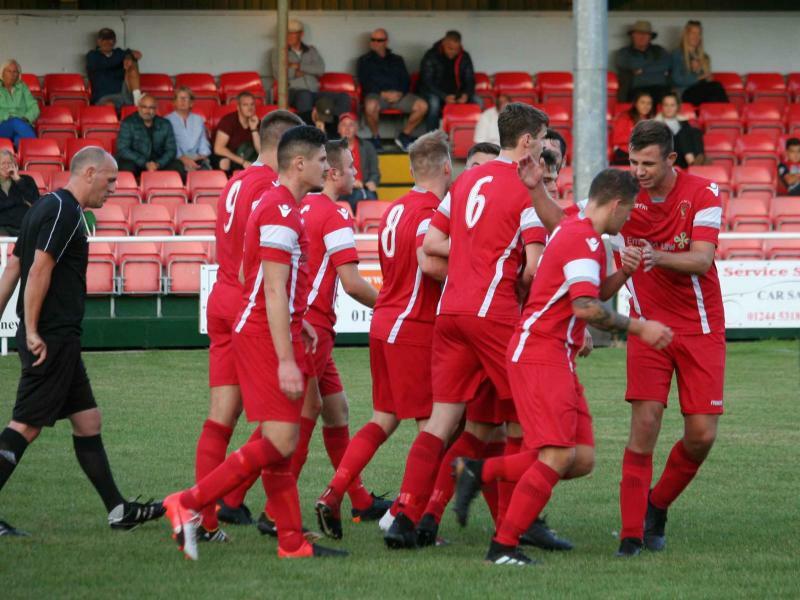 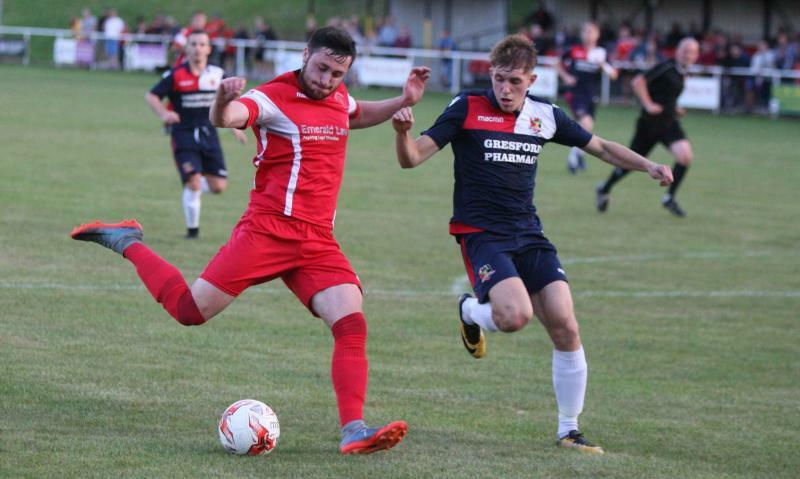 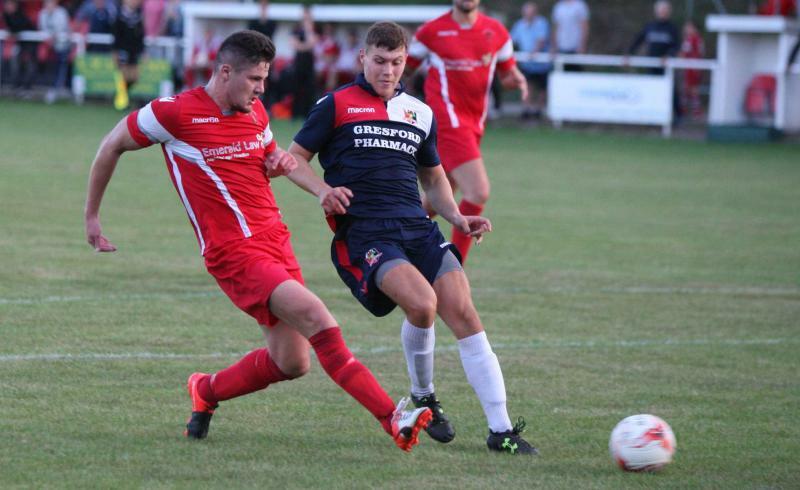 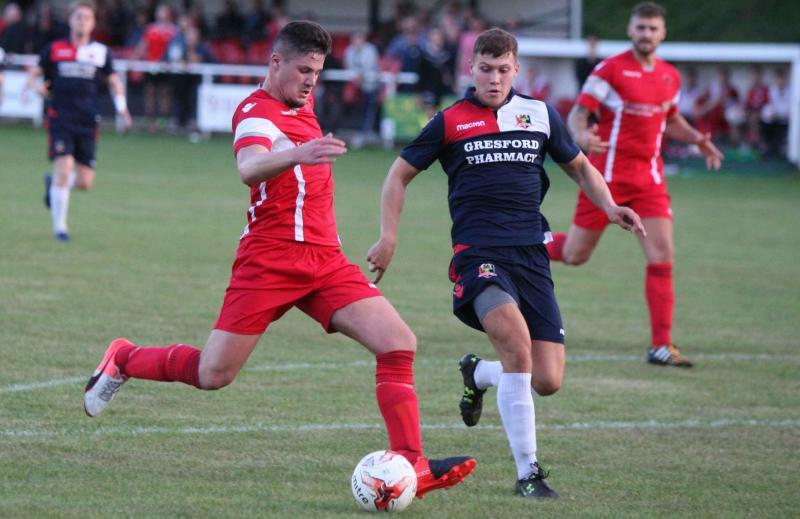 For the first time this season against Gresford Athletic we saw the team play with the level of confidence that they generated throughout last season’s Championship winning season. 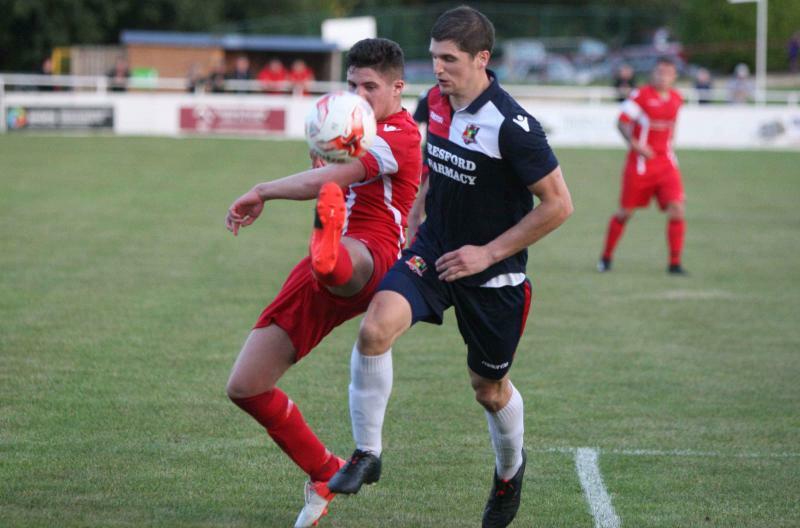 The management team made changes to the line up alongside the return of keeper Joe Makaruk with the three in the middle of the park of Josh Jones, Aled Bellis and Lewis Cunliffe giving the side solidity in front of defence but also the ability to raid the flanks with Aron Williams and Shaun Tinsley much in evidence. 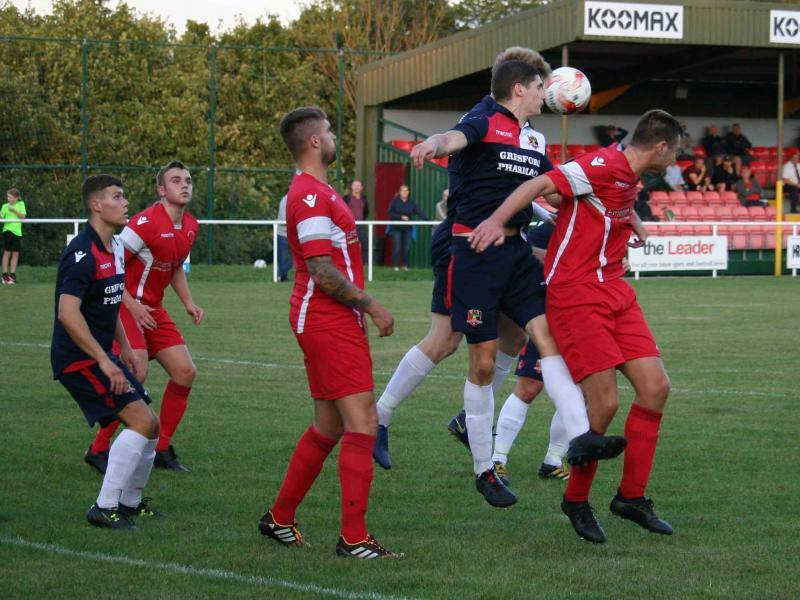 For the first twenty-five minutes Buckley completely dominated their opponents and knocked them out of their stride. 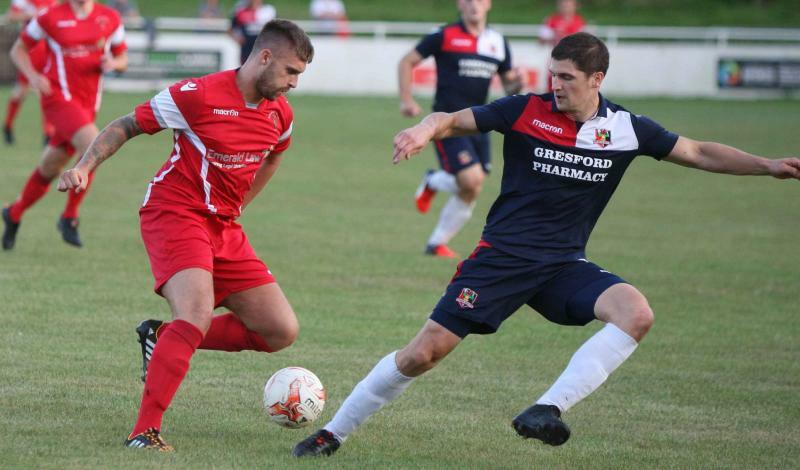 Gresford could not settle as Buckley bombarded them from set plays and throw ins that made it difficult for them to do anything else than defend. 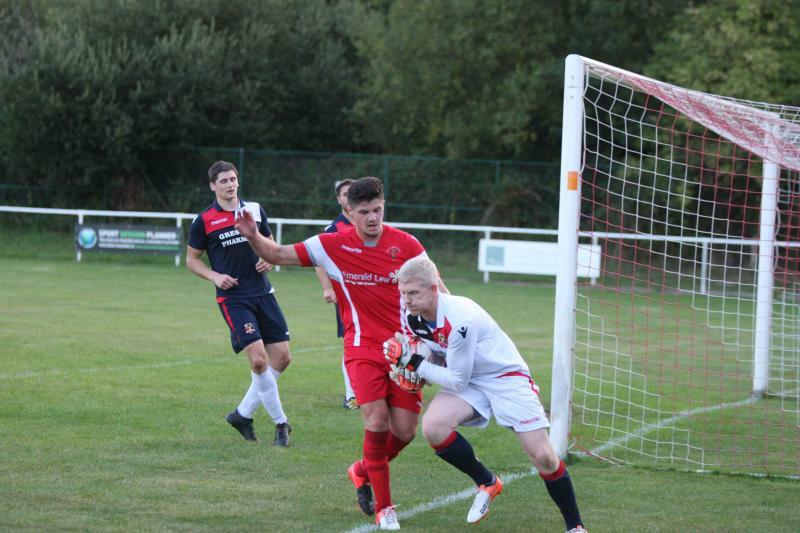 Buckley had chance after chance to score but found all was blocked or went just wide. 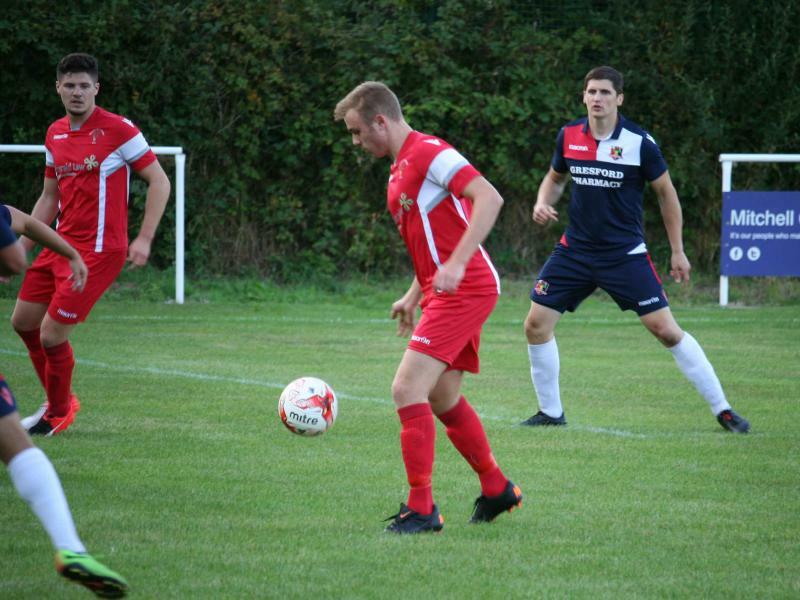 That was until following one of those attacks the Gresford defence must have thought they had cleared all the danger. 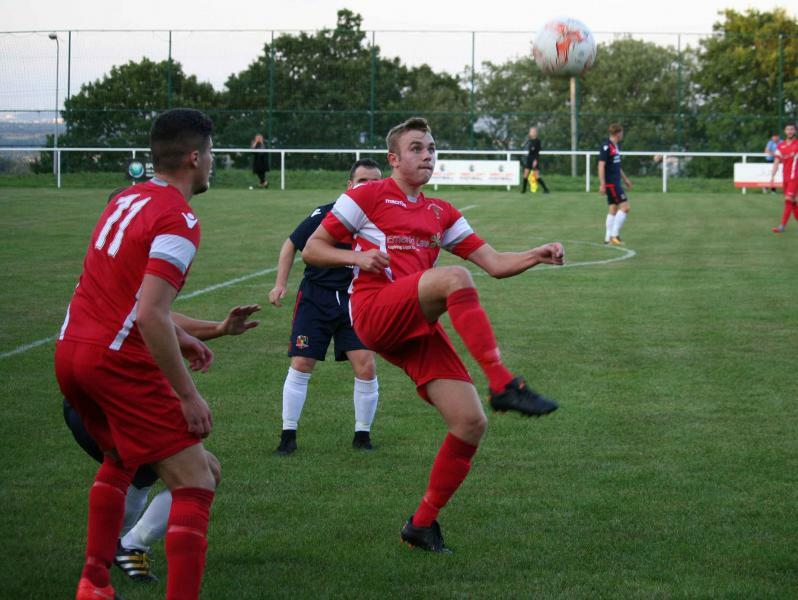 The ball was cleared but fell sweet as a nut to Josh Jones who, 25 five yards out, rifled it home on the volley giving Ben Jones in the Gresford goal no chance. 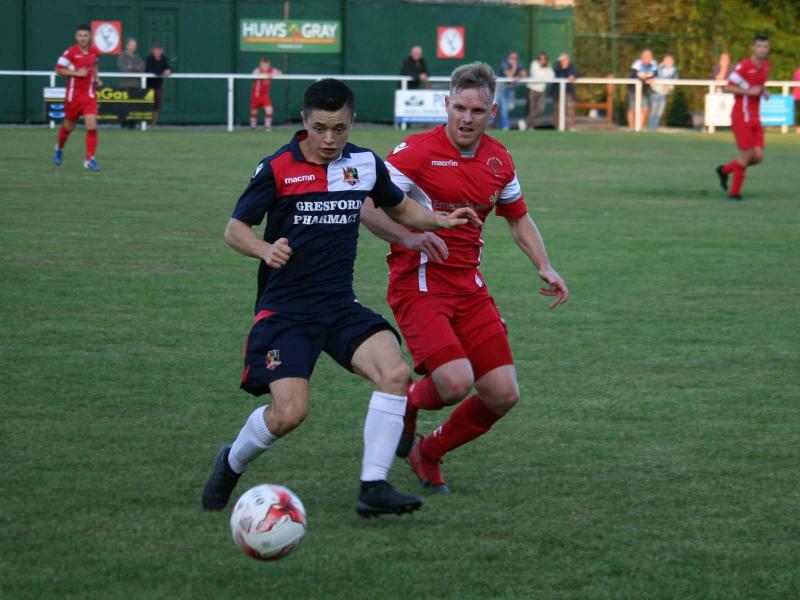 It was a lead that Buckley richly deserved but it seemed to galvanise Gresford into realising that if they wanted anything from the game they most certainly would need to lift theirs. 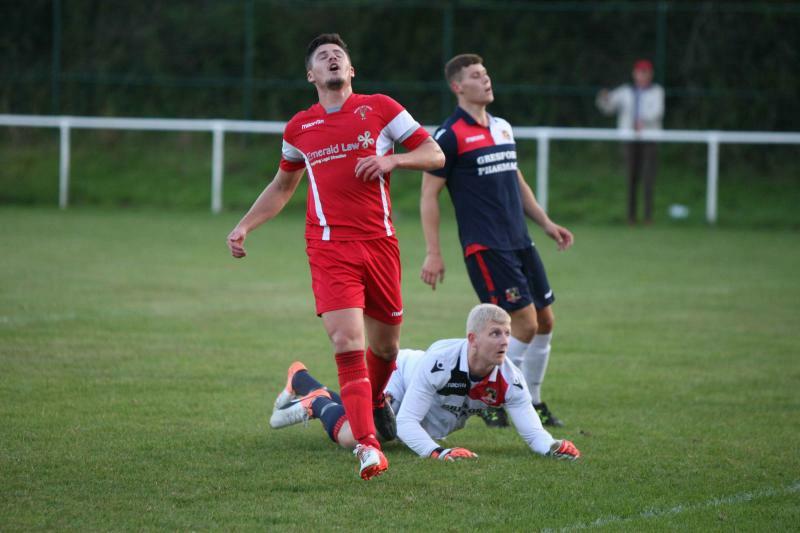 That they did and they had three great opportunities to level the game but each time were thwarted by some great saves from Buckley’s returning captain Joe Makaruk, saves that were even applauded by his opposite number. 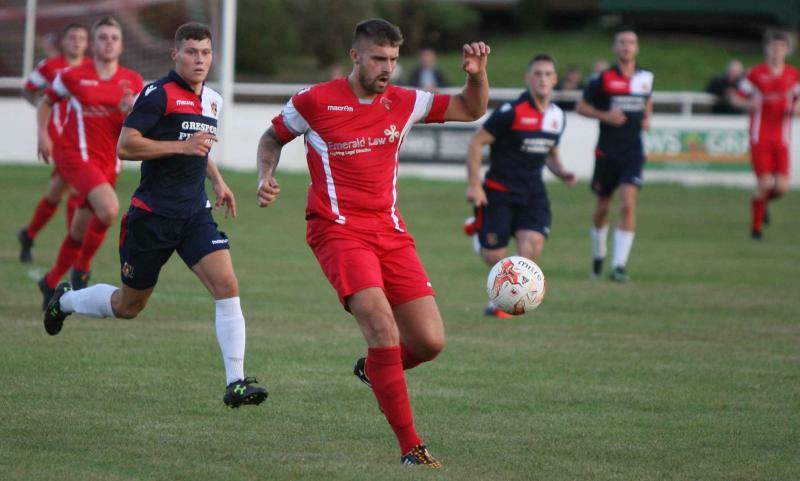 The second half was just as competitive as both sides looked to get a grip on the game but it was Buckley that managed to get that important second goal when Luke Blizzard found himself able to get his shot away cleanly and through the Gresford defence to make it 2-0. 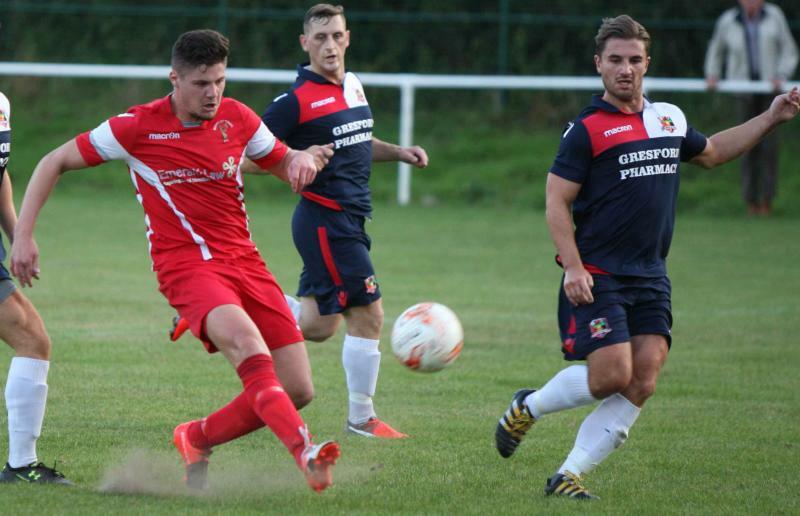 Gresford still looked capable of scoring but the game was ended as a contest when substitute Phil Molyneux spotted Ben Jones was off his line and from a good 40 yards out fired the ball over the stranded keeper to make it three nil. 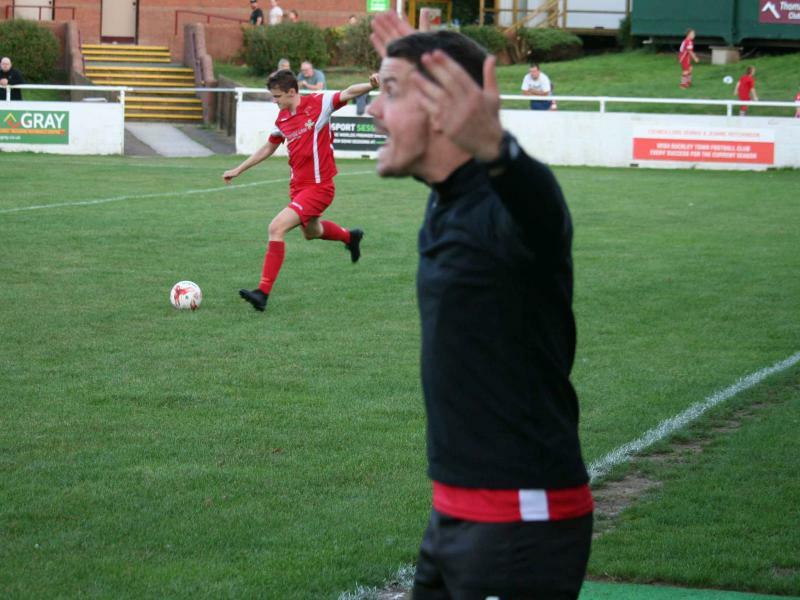 In all, it was a much-improved performance from Buckley Town and more like that of the side we watched last season. 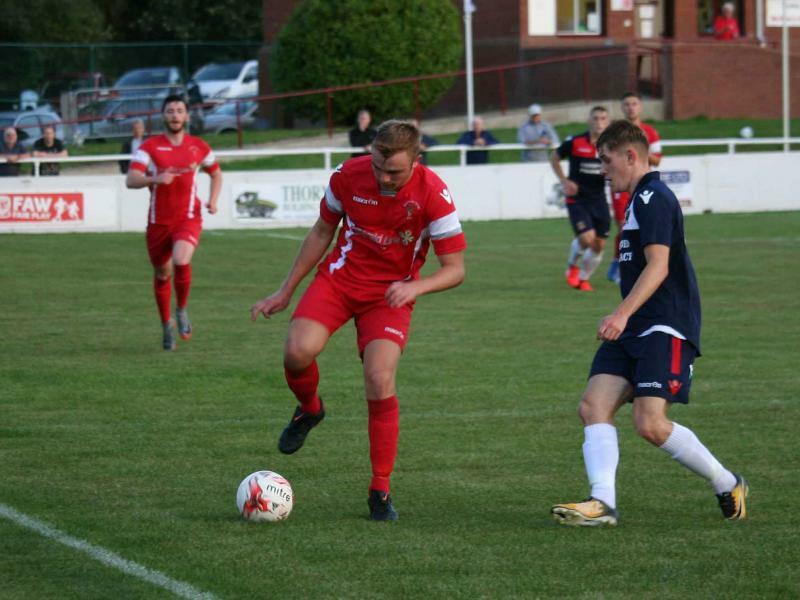 Joe Makaruk’s inclusion made a significant difference to the team as did the three in midfield who worked their socks off to ensure victory. 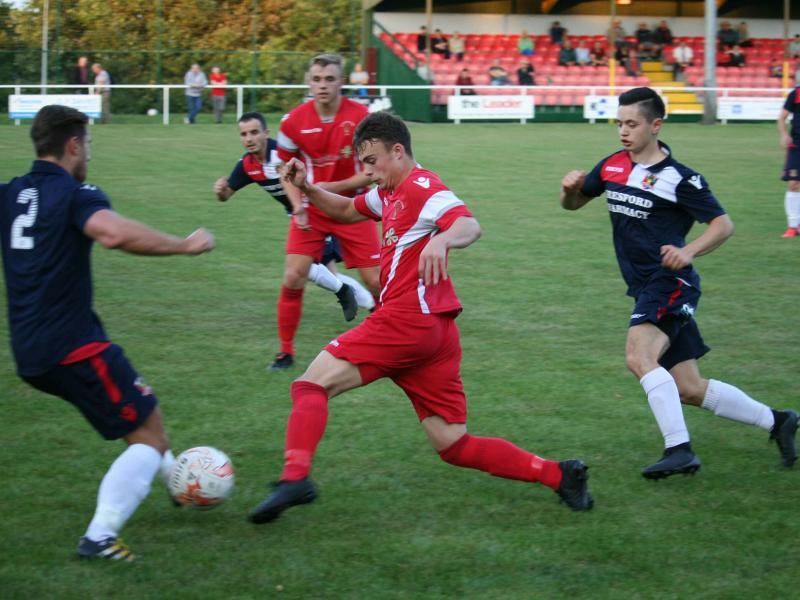 That helped the back four look more secure and good games were had by all especially Callum Humphries. 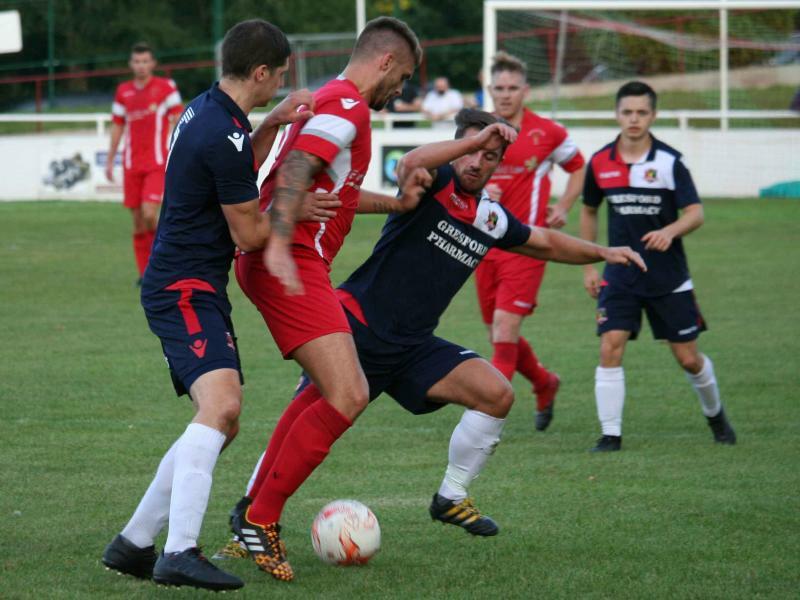 Adam Eden also made a welcome return as substitute late on but, in the end, it was the performance of the club captain that earned Man of the Match. 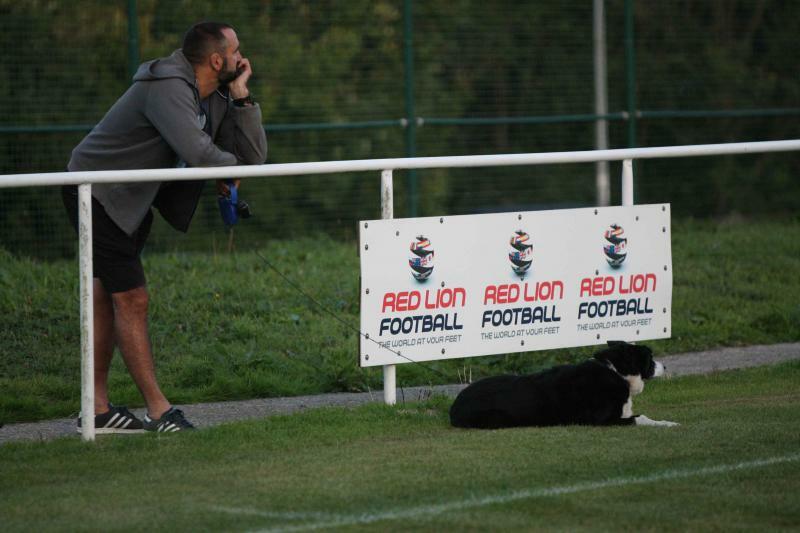 Thanks to fellow match photographer Keith Clayton for some great shots of the players and ‘One Man and his Dog’ in a quiet moment of reflection.